— Next, there’s mountaintop removal … Gov. Joe Manchin’s Department of Environmental Protection has already hired outside lawyers in preparation for an expected lawsuit against the Obama administration’s efforts to curb the water quality damage done by large-scale surface mining across the region. At the same time, environmental groups haven’t exactly indicated a willingness to negotiate or compromise, given their very harsh criticism of EPA’s decision to approve a Logan County mountaintop removal permit where the impacts have already been greatly reduced. — Then, there’s coal-mine safety … judging from recent events, the aftermath of the Upper Big Branch Mine Disaster is turning increasingly into a battle between Massey Energy — with its PR firms and attorneys — and MSHA, led by the former safety director of Massey’s longtime enemy, the United Mine Workers of America union. While there’s little question that there is much to criticize about Massey’s safety practices, it’s also clear that MSHA has much to answer for — but as best I’ve been able to tell, Sen. Byrd was the only one on the Democratic side of the aisle in Congress who seemed interested in exploring potential failings by Obama administration regulators. Who now will ask Labor Secretary Hilda Solis and and MSHA chief Joe Main why they didn’t ask for more money to properly enforce the agency’s Pattern of Violations program? — There’s the question of what West Virginia — and the rest of the Appalachian coalfields — will do when the coal is gone, or even when production almost inevitably plummets in the coming years … How will state and local governments pay for vital services? What will our communities do to provide jobs and put food on the table in the greener, carbon-constrained future that our planet must embrace? It is a simple fact that the costs of producing and consuming Central Appalachian coal continue to rise rapidly. Older coal-fired powerplants are being closed down, and they appear unlikely to be replaced by new coal plants unless we very soon adopt several major changes in federal energy policy. In 2009, American power companies generated less of their electricity from coal than they have at any other time in recent memory. In the last month alone, two major power companies have reportedly announced that they will idle or permanently close over a dozen coal-fired powerplant units that have consumed millions of tons of West Virginia coal in recent years. The old chestnut that “coal is West Virginia’s greatest natural resource” deserves revision. I believe that our people are West Virginia’s most valuable resource. We must demand to be treated as such. 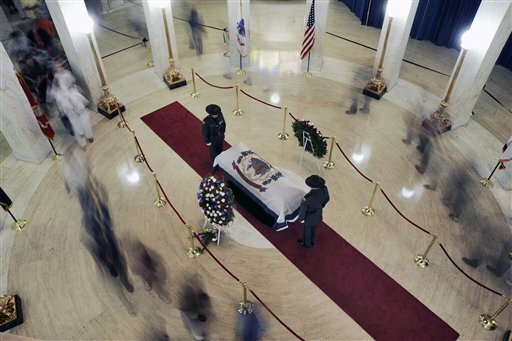 As I reflect on the full sweep of 92 years, it seems to me that his life bent toward justice. 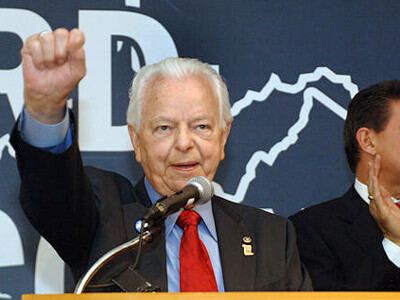 Robert Byrd possessed that quintessential American quality. That is a capacity to change, a capacity to learn. A capacity to listen, to be made more perfect. President Obama got it right. Senator Byrd changed and grew, and for the better, and that was possibly his most notable achievement. 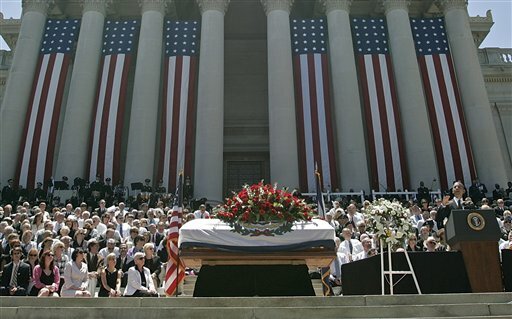 My wife was in his office with our one-year-old daughter in the early 1970s, when Senator Byrd “reamed out” her group of ministers and lay church people for “undermining” our troops in Vietnam — some people were crying under his righteous chastisement. What a long way he travelled since then! I remember when he said “I believe Anita Hill” at Clarence Thomas’ confirmation hearings. That was a good moment. Close to death, on many issues related to coal, he left us with words, well summarized by Ken Ward, that point to the path West Virginia needs to take in the future. Let’s take heed! I don’t know if the blog is accepting comments while Ken’s on vacation, but I’ll give it a whirl. Following are excerpts from a recent post at Joe Romm’s Climate Proress blog, quoting from a NY Times article, found at http://www.nytimes.com/cwire/2010/07/09/09climatewire-utilities-face-the-decision-point-of-big-shi-27535.html. This is information that people in the coalfields should know about. This is also the kind of information that led Senator Byrd to make some remarkable pronouncements, that Ken has summarized above. The report says drivers of this shifting paradigm include the need to cut greenhouse gas emissions by as much as 80 percent by 2050 and policies in many states making it costly to build more fossil fuel-based electric generation. The report says costs for renewable energy are coming down significantly, and regulatory policies now allow utilities to count large-scale energy efficiency as the lowest-cost energy resource. Further, utilities are adopting “smart grid” technology to help manage electricity use, and there is more interest in developing plug-in electric vehicles…. “Recent technological breakthroughs in extracting natural gas from shale and other ‘tight’ formations have led to a startling reassessment of the nation’s natural gas supplies, previously thought to be dwindling,” says the report. “Natural gas is positioned to play a growing role as a complement to variable renewable energy resources. In addition, natural gas can help optimize overall energy efficiency by integrating thermal and electric technologies and end-uses.”Coal, according to this report, faces an array of challenges. Most U.S. coal-fired power plants are at least 30 years old. New U.S. EPA regulations to cut emissions of haze and ozone-causing nitrogen oxides, sulfur dioxide, mercury and other pollutants are expected to push many of those old plants into retirement. Citing a March 2010 study by Bernstein Research, the report says the EPA regulations will likely force the retirement of about one-quarter of U.S. coal-burning generation by 2015. King’s support for using gas for power generation is notable. For years, industrial users of gas and local distribution companies such as National Grid discouraged talk about using more gas for electricity generation. The concern was that it would increase competition for natural gas and drive up the commodity price. Now, as King noted, there is broad awareness that expanding U.S. shale gas fields have dramatically increased the gas supply. One of the hottest gas basins, the Marcellus Shale, sits in his backyard in the Northeast…. An analyst at the energy consultancy Wood Mackenzie told delegates at the 2010 Energy Epicenter conference in Denver that U.S. natural gas prices will increase to a range of $6.50 to $7 per million British thermal units (MMBtu) as cost pressures intensify in the next five years. That’s around the place that many gas drillers say is needed to sustain production. Natural gas has hovered around $4/MMBtu for more than a year. She added that even in the absence of climate legislation that increases the cost of coal-fired generation, EPA and state regulations could lead to 45 gigawatts of coal-fired power generation being retired by 2020. That would stimulate about 5 billion cubic feet a day of gas demand. 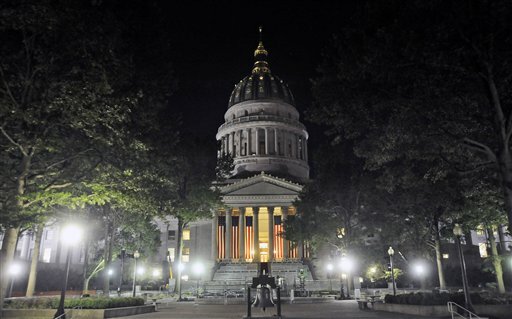 Looks to me like West Virginia political leaders might take a lesson from our State’s history thus far, and begin to act now to secure more revenues from natural gas extraction — as well as from coal mining — to fund the high-quality education of our State’s children — which is the proven, single most effective strategy for reducing poverty and improving economic opportunity.